Looking for fresh apps for your iOS device? We’ve found 78 great apps that were released over the last couple of days. 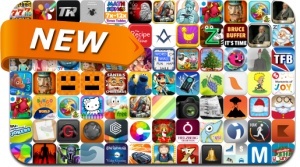 This new apps alert includes Into the Dead, Herd Herd Herd Deluxe, Man in a Maze, MyDinos, Smash Cops Heat, Nitro Chimp, Call of Atlantis: Treasures of Poseidon, Tiny Legends: Heroes and many others.